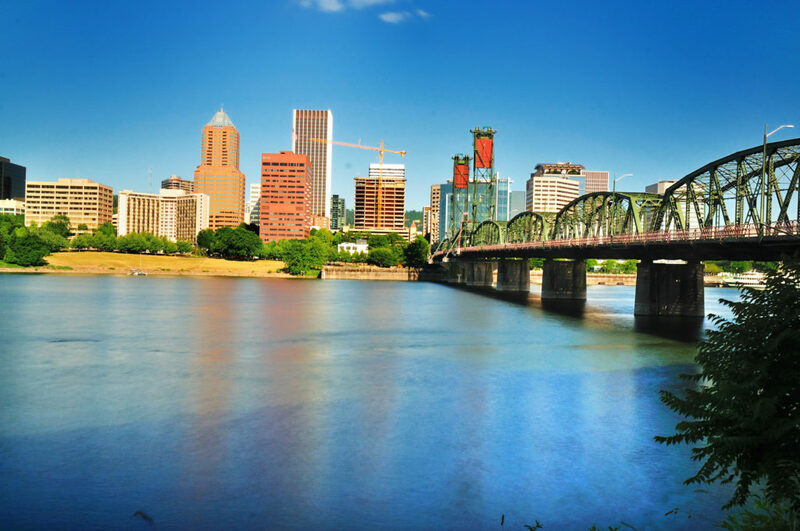 Are you in the midst of planning a move to Portland, Oregon? Portland is Oregon’s largest city and is home to over 600,000 people. It is conveniently located between the Columbia and Willamette rivers. The city is widely known for its parks and bridges. It also happens to be a city that is concerned about the environment. Portland has been called the “City of Roses”. Not only is it home to the International Rose Test Garden, but Portland also hosts the annual Rose Festival. There are a thousand reasons to want to move to Portland. With its no sales tax, casual vibes, and beautiful views, its no wonder so many people relocate to the area. Moving to Portland should be an exciting experience. Although moving to a new city can be overwhelming, Portland has a lot to offer. You will have many new adventures and make more memories along the way. Whether you are transferring to Portland for reasons related to a job, house, or your family, car shipping services can make your life easier. Learn more about Oregon Car Shipping. Do your research. It is important to do your homework to find the right company to ship your car. You do not want just anyone shipping your car. You want a company that you can trust, that will ensure the safety of your vehicle during the car shipping process. In order to find a company that suits your needs, read online reviews and talk with a representative to ask questions. Learn more about How To Choose An Auto Transport Company. Read over the contract. A contract will be written up which should outline everything, from pickup to delivery. Make sure you read over the contract before signing on the dotted line. If you have questions about insurance or fees, now is the time to ask. Inspect your car. Before loading the car onto the carrier, a thorough inspection will be completed to check for cosmetic damages, such as dents, scratches, and paint chips. It is also recommended that you make notes for your records, in case a claim needs to be made. Prepare for shipping. While the auto transporter is responsible for shipping your car to its destination, there are some things that must be taken care of, beforehand, to ensure a smooth, timely delivery. Make sure that your car is up to schedule on all maintenance care. In addition, remove all personal items from the vehicle, and ensure that the tank is 1/4 full. Learn more about Preparing A Car For Auto Transport. Portland residents pride themselves and their city on being weird. 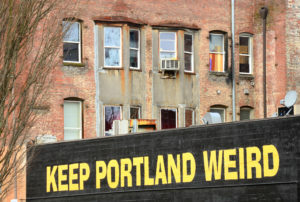 When people hear the word weird, they may get a negative feeling, but for Portland residents they see it as a positive attribute. They do not take offense to be calling weird, in fact they love it. You will often find the slogan on walls, keychains, and bumper stickers. Overall, the city has its own unique flare. Some people say it is because of all of the coffee and beer that the residents drink, while others suggest that people are weird because of the frequent rain that the city gets. Whatever the reason, embrace it. Man buns – Some men can be seen wearing buns on top of their head and sporting a flannel, but this isn’t just a Portland thing. Zoobomb – This is a weekly event in which people gather to ride tiny bikes, or rather bikes meant for children, down a large hill. The event takes place every Sunday night and is a time when people come together. VooDoo Doughnuts – This bright pink doughnut shop helped start the doughnut craze in Portland. They offer weird doughnuts with names such as Dirt, Pot Hole, Voodoo Doll, and Dirty Snowball. PDX Adult Soap Box Derby – This event happens every summer. Residents come together to participate in and watch as adults fly down a giant hill in homemade derby vehicles. Some vehicles are even weirdly shaped, such as in the shape of a hotdog. Here is a list of things to consider before making the move to Portland. Gluten Allergy? No problem. For people who are gluten intolerant, Portland is like a heaven. Many of the restaurants, events and bars serve gluten free foods and drinks. It rains a lot. If you are moving here from a state that gets a lot of sunshine, you might be in for a bit of a surprise. While Portland is not the rainiest city in the nation, it does rain quite a bit. Be prepared by bringing your rain gear with you when you visit or move to the area. Full-Service gas stations are a thing. Legally, you may not pump your own gas in the state of Oregon. If you do decide to pump your own gas, be ready to pay a $500 fine. Portland is one of the only states, along with New Jersey, that has full-service stations. Getting around town on a bike. Be prepared to buy a bike when you move to Portland. The city has 12 times more bike commuters than any other city. Some of the neighborhoods even have bike shops and designated bike lanes on the roadways to make for safe travels. National Dispatch is a nationwide auto transport company. Therefore, we provide services beyond Portland. We can ship your car anywhere in the United States. If you are in need of car shipping services, request a free, instant car shipping quote using our online quote form. Only four simple fields on information are required: vehicle make, vehicle model, pickup location, and delivery location. No personal information is required. If you prefer to speak with one of our auto transport representatives, then call us at 800-321-2051.